This offer is the most aggressive promotion for CS1000 migrations that Avaya has ever offered - don't miss out! 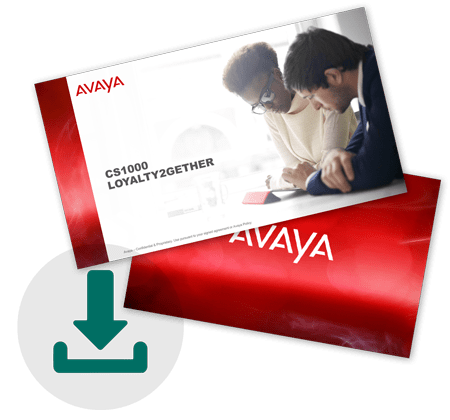 Avaya is offering qualified CS1000 customers a variety of options to take their communications, collaboration & customer contact capabilities to a new level. This offer is the most aggressive promotion for CS1000 migrations that Avaya has ever offered - so don't miss out! Watch the Loyalty2gether Promotion webinar for details on the promotion components, including free phones, cloud and on-premise offers, discounts, APS credits & partner rebates. Watch the Contact Centre Migration Paths webinar to learn more about the recommended sales approach and solution roadmaps.